One of the most satisfying things about making cards is sending them, I've finally realized. I couldn't figure out why I was having such a difficult time being inspired until it hit me that I hadn't sent a card to anyone in over a week. 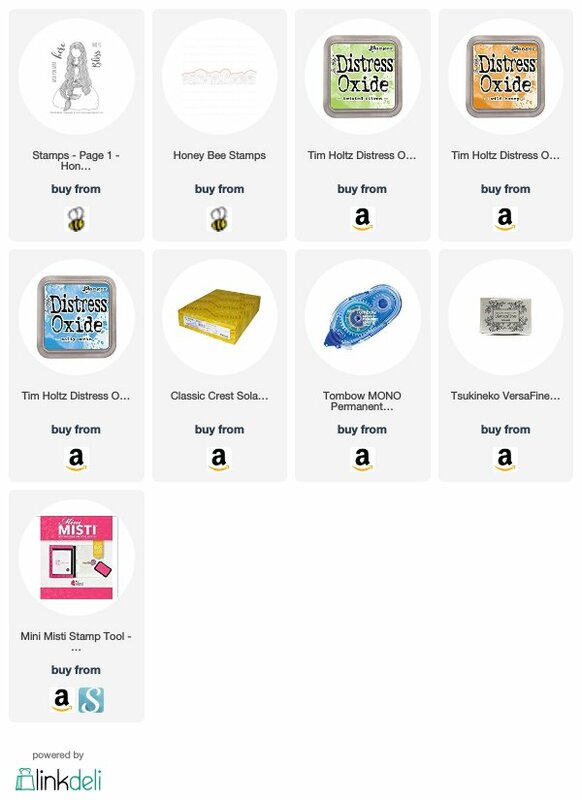 The thought of sending a card or two made me happy, so I got busy and joined SplitcoaststampersSplitcoaststampers' Teapot Tuesday challenge for the first time. This challenge uses various photos of teapots as the main inspiration for a card (although you may use other sources of inspiration) that will be sent to the week's chosen recipient. That person's name and story have been submitted by members. This past week the the recipient was a little girl who has had heart surgery, and faces several more. She comes from a large family, and her siblings' names were also listed, along with a favorite cousin. Several teapots were presented, all with figures of cats on them. 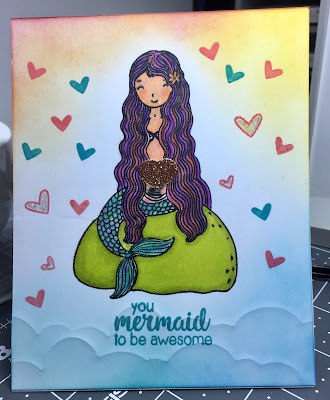 Since I don't have any cute cat stamps, I took my inspiration from the colors of one of the teapots and chose a mermaid stamp set from Honey Bee stamps for my card. As the grandmother of four girls, I know mermaids and lots of bling never go wrong! I created the background with distress oxide inks, and for the border, which was another requirement of the card, I embossed "waves" with Honey Bee's Ocean Border die. To color the image, I used Spectrum Noir alcohol markers and added some shimmer with my Gelly Roll glitter pen. The sentiment if from Sunny Studo's Magical Mermaids set.